Attorney General Jeff Sessions incorrectly applied Scripture in quoting Romans 13 to defend the policy on Thursday, suggested Dolan. “For one, St. Paul always says that we should obey the law of the government if that law is in conformity with the Lord’s law. 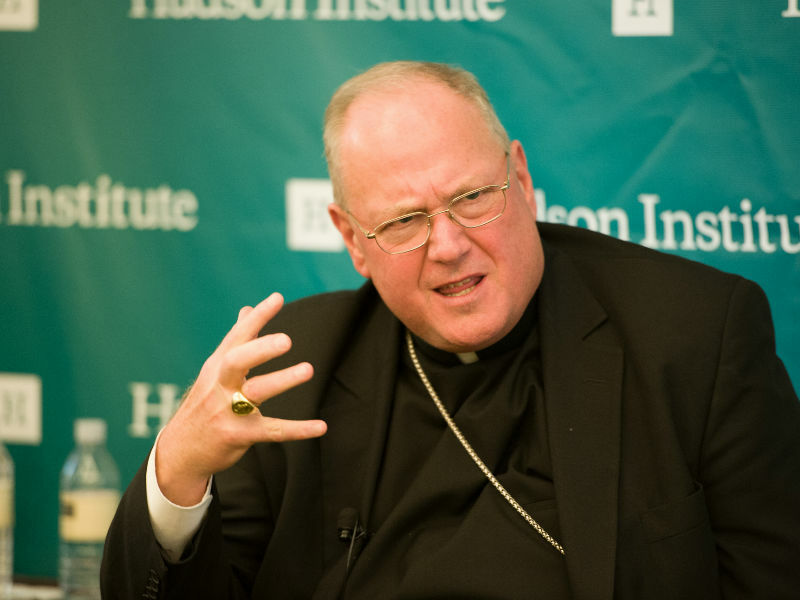 No pun intended, but God’s law trump’s man’s law,” Dolan said. “I don’t think that we should obey a law that foes against what God intends that you would take a baby, a child, from his or her mom. I mean, that’s just unjust. That’s un-biblical. That’s un-American. There could be no biblical passage that would justify that,” Dolan said. In a statement released by the United States Conference of Catholics Bishops earlier this week, the group condemned family separation. Dolan said a group of bishops may head to the border to provide spiritual and emotional support. Dolan, who gave a prayer at President Trump’s inauguration, said he hopes the President can work with both parties in Congress to find an immigration solution. Do you agree that President Trump’s immigration crackdown that forcibly separates children from their parents who have crossed the border illegally is unjust and unbiblical?